I am in the process of starting my home base medical billing service co. I have been working in the medical industry for 25 years, with experience in clinical, and administration functions, along with professional training.And received certificates and certifications for medical billing, insurance, and coding. I have also held medical billing, claims processor, and medical claims auditor positions. What is a good medical billing software? What is a active network/forum website for medical billing? What is a good marketing strategy for medical billing? Any other suggestions are advise? I have owned my own Medical Billing/Auditing/Compliance Company for over 10 years. One of the main things I have learned is that you do not own your own software. Physicans need to have their software/hardware on their premises. I have seen so many unfortunate situations where physicians have no idea what is happening within their practices as all info is off site. (I've also had to clean up after many of these situations!) This also frees the billing company from the expense of purchasing software/hardware/licensing etc. I have 3 subcontractors working for me and we all remote in from our home offices. I'm very careful with confidentiality and adhere to all Medicare guidelines. I have a yearly Business Associates Agreement with everyone, contracts, as well as HIPAA confidentiality signed by all. I charge percentages on what we bill and everyone is happy. I secure clients mainly by referrals starting out working with our local residency program. You have to prove to your prospective clients that you can not only bill but follow-up, follow carrier guidelines, and keep them updated on all the changes coming from all sides. The motto is: Bill it correctly the first time! I hold education sessions with all of my practices and am very available to them, physicians and staff both. I also am very selective in the providers I work with. I hope this has helped. Good luck. You are the only one who can sell yourself! It sounds like you have many of the good qualities needed to provide billing services and to own a successful billing business. While remotely accessing a doctor's billing software may seem like the best alternative, the fact is, there are a lot of doctors and other healthcare providers that have old, outdated billing programs or none at all or they will retire soon and that means you will have to have your own billing software or web based product to use for those situations. Billing on a percentage of collections arrangement may or may not work for you, depending on the state you are working in and what your market dictates. There is no "one size fits all" pricing method. You may find that a per transaction fee, hourly rate or flat monthly rate works better and that all depends on the situation and no two providers are alike. Communication with your clients is essential to maintaining good relationships. Providers have to know what's going on with their billing and you have to communicate well with them. Regular meetings, reports and training will all be a part of your professional obligation to your clients in owning and operating a billing business. I too, have seen some really unfortunate situations that required major cleanup, follow up, appeals and refiling of claims. You probably will see that, too. It's important that you try to minimize mistakes and learn from them, hopefully never making the same one twice. Sometimes, you can only learn from the school of hard knocks, though. Additionally, you will have to learn everything you can about your client's carriers, contracts, codes, claims, payment policies and etc. to be effective at collecting insurance money. As you have already seen, there is a lot of compliance effort that goes into this as well -- fraud and abuse as well as HIPAA Privacy, Security and Transactions. You'll want to audit your practices to ensure you're billing for services that were actually provided as well. There are a lot of checks and balances you will need to implement. Additionally, you'll want to do a risk management/business continuity plan to identify potential risks and to decide how you will mitigate those risks. For example, if you fell off the face of the earth, how would your providers get their patient and billing information back? What would happen if there was a natural disaster that destroyed your computer system or theirs? Doctors are going to want to know this kind of thing. Unfortunately, not many billers take this step seriously and when something happens, there they are with no backup or with no plan. Good marketing strategies include targeting providers with which you have experience - this is always a good place to start. You might go after old, unpaid claims as a way to demonstrate your effectiveness. Even if they are not payable, you can provide a final resolution and get them off the A/R balance. Another thing -- always do a good job and you should always have work. In this business, word of mouth is like gold. Doesn't matter how much gold foil and slick wording you use - two well written referral letters will do more for you than anything else you use. A lot of people out there are doing a poor job. You be different! But before you even start to think about marketing, write down your good qualities. Use those to define who you are in this market. Brand yourself. Formulate and use one or two sentences to describe what you will do in a nutshell so that you can easily quote it when you meet a potential client. "Hi, I'm Cyndee Weston. I'm certified in billing and in coding. I specialize in medical fraud and abuse dectection and prevention & in HIPAA Compliance." That one statement tells you a lot about me in a short amount of time. You'll soon see that doctors don't have a lot of time to meet with salespeople, so you'll have to be effective and quick. They want to know if they should give you anymore time, so make it good. Remember, it's not one or two things you do, but EVERYTHING you do that will help you get and keep clients. And just to reiterate what was already said, not all clients are worth having or keeping. As for networking, there are a lot of billers that work from home or a small office and many of them are willing to share their experiences with you, especially through AMBA. 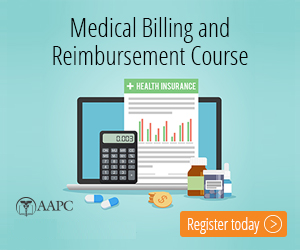 AAPC has recently started a billing newsletter, so you probably want to get signed up for that, too. Finally, back to your question on software programs. You may indeed use more than one product (yours and your client's) - it's not uncommon to use multiple programs and multiple clearinghouses. What you have to try to decide is which features you know you need, which ones you think doctors might like and what's in the pipeline for upgrades from any product you are thinking about purchasing. You may find that you like a web based product better. They do have their uses but tend to charge more than they should because they don't have an effective means for measuring the use of their service. You probably shouldn't purchase an expensive product until you have a better idea of what you need in a program, if you need one at all. There are several inexpensive products out there. Demo all that you're interested in and you'll have a better idea of what you need to be looking for, what you like or don't like, capabilities, etc. I hope this information helps you. Best of luck to you in this endeavor!! Can you allow externship for biller holding AAPC CPB certificate? First, best wishes to you. May I know where you live? I would like to volunteer for you new company.